Remote Dubbing » The Indie Design Co. 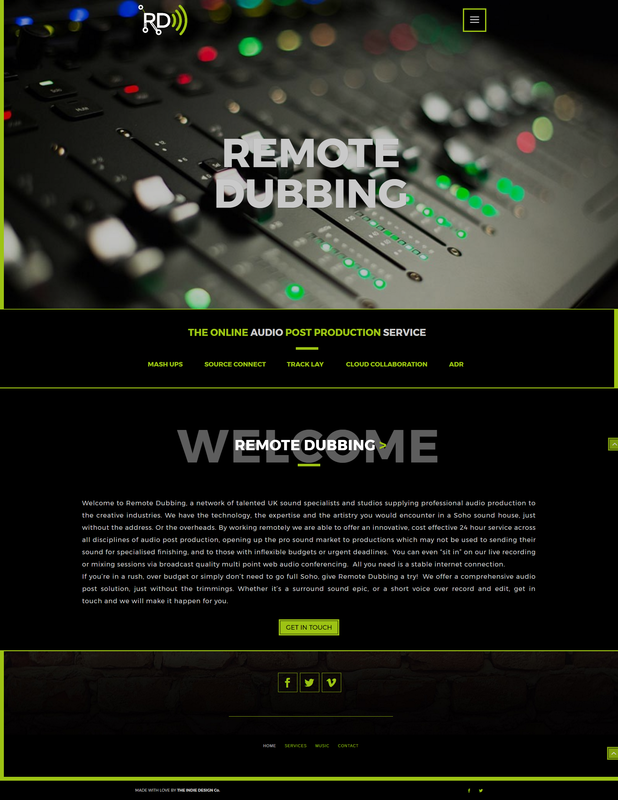 Rob @ Remote Dubbing wanted a dark, edgy feel to his website. Black, white, & lime green is the colour palette we opted for. His logo incorporated connectivity and sound which embodies what the company does. Working with clients worldwide, Rob wanted the website to be easy for his clients to view his services and contact him.